According to new research article published in Health Affairs Global Policy, 65 percent of hospitals in Chile have adopted the technology compared to only 25 percent in Colombia. When it comes to telemedicine adoption in Latin America, the numbers vary dramatically from country to country. 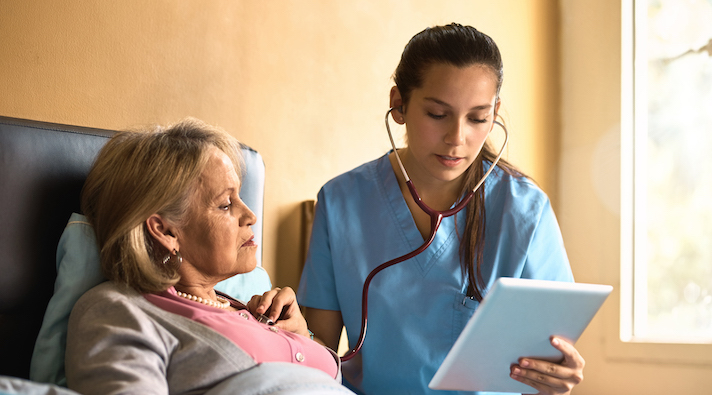 A new study published in Health Affairs Global Health Policy found that 65 percent of hospitals in Chile reported using the technology; however, move further north to Colombia and only 25 percent of hospitals had adopted the service. While Chile and Colombia were the two extremes in the study, telehealth adoption rates differ all over Central and South America. Argentina, Costa Rica, Mexico and Peru each had less than a 30 percent adoption rate. Uruguay and Guatemala both saw adoption rates in the mid-40 percents, and 35 percent of hospitals in Panama were using the technology. The researchers noted that multiple factors, including a health system’s organizational characteristics and the national environment, played a role in these statistics. Regulatory policies, legal framework and health spending also played a hand. For example, five of the countries in the study have had an explicit national telehealth policy or strategy since 2014, according to the study. On the other hand, four out of the five of those same countries had less than 30 percent adoption rate. Researchers zeroed in on nine Latin American countries including Argentina, Chile, Colombia, Costa Rica, Guatemala, Mexico, Panama, Peru and Uruguay for this paper. They conducted the analysis using data from the HospiScope database of Latin American hospitals, 2017 demographics and characteristics and the 2015 WHO Global Survey on eHealth. “Using 2017 data from HospiScope, we used a binary logistic regression (a highly robust statistical method) to identify determinants of telemedicine use, based on a set of hospital characteristics (human resources, technology resources and eHealth variables) commonly used in the literature,” authors wrote. It is important to note that the analysis included only hospitals that reported definitively if they used telemedicine or not — which accounted for approximately 65 percent of the hospitals in each country. Researchers also incorporated a number of factors including adoption rate, population and number of hospitals in the country per ministry of health. Like much of the world, Latin America is seeing an aging population. It also has a large rural community, leading many in the field to discuss options for the future. “With doctors unevenly distributed across Latin American countries and concentrated in urban areas, patients in rural and marginal suburban areas may have limited access to providers — particularly specialized providers,” authors of the study wrote. However, researchers note that rural health services looking to address the gap in care in the past have been unsuccessful with reaching their goals. “Telemedicine is expanding in Latin America, but its widespread, sustainable use has not yet been scaled up to broad national and regional programming,” authors of the paper wrote. Still, Latin America isn’t the only region looking to telemedicine to help address gaps in rural care. The US has been a pioneer in this field for sometime. Most recently, the FCC Chairman Ajit Pai announced the agency was spearheading initiatives to help bring broadband and telemedicine services to rural communities. Many of these initiatives come via the Universal Service Fund. But the uptake of the service in rural communities can be slow. A USDA report released in November found that rural residents were actually less likely than their urban counterparts to partake in online health research, maintenance and monitoring services.